What do women across the world share as experiences? Whatever the color of their skins, whatever their language and culture, the single identity that leads to their exploitation and violence against them is their gender. In The Colours of Her Heart, Mallika Sarabhai — dancer, activist, choreographer, columnist and speaker; and Samia Malik — lyricist, composer, painter, singer and a British Pakistani, bring together the pains, travails and victories of women of all nations. With songs in Urdu and English and stories that are both personal and universal, the piece draws you into the world of women’s lives. 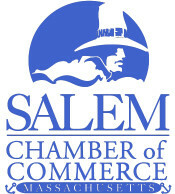 $15 for members, Salem residents and college students with I.D.